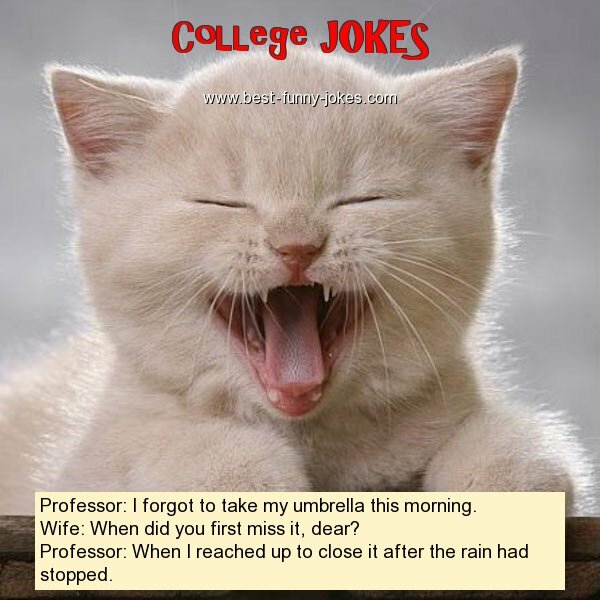 Professor: I forgot to take my umbrella this morning. Wife: When did you first miss it, dear? Professor: When I reached up to close it after the rain had stopped.